Corry, PA August 31st, 2016– The Chevrolet Malibu is an enduring classic that helped launch the midsize sedan segment more than 50 years ago. It drives into the future with an all-new 2016 model engineered to offer Tri-County Chevy Owners-drivers more efficiency, connectivity and advanced safety features than ever – all with a brand-new, progressive design. The new Malibu’s wheelbase stretches 3.6 inches (91 mm) longer than its predecessor and it is 2.3 inches (58 mm) longer, with the same overall width – dimensions that contribute to a sleeker-looking proportion. The longer wheelbase also helps provide better in-cabin comfort and functionality. The hood and the cowl – the area where the windshield meets the hood – are lower and contribute to the Malibu’s greater aerodynamic performance, as do active grille shutters on LS and LT models. Premium design cues, with contemporary lighting technology, are incorporated on all models, including light-emitting diode (LED) daytime running lamps on LT and Premier models. The Malibu Premier also receives LED taillamps. Beneath the new Malibu’s athletic-looking skin is a stronger, lighter body structure that contributes to its efficiency and driving dynamics. Greater use of high-strength steels enabled engineers to design the body structure with thinner components in some areas, delivering comparable crash performance with lower weight. In fact, the body structure accounts for more than one-third of the Malibu’s nearly 300-pound weight reduction. The cabin’s open, expansive feel is reinforced with a greater emphasis on comfort, convenience and connectivity, allowing the Malibu to keep pace with Crotty Chevrolet Buick customers’ connected lives. The instrument panel “center stack” is all-new, with greater delineation between the infotainment system and climate system controls for easier, at-a-glance operation. We understand that it’s a special type of person who wants to own a Buick or Chevy. At Crotty Chevrolet Buick, our goal is to be the premier Buick and Chevy dealer in Pennsylvania. To meet that goal, we provide you, the consumer, a world class purchasing experience. We promise to deliver on that experience with ethical business practices and top notch customer service. Stop by Crotty Chevrolet Buick Today to experience the 2016 Malibu! Our service department is prepared to serve the maintenance needs of all our Corry Chevrolet and Buick customers. From our online service appointment and parts order form, to our service specials and excellent Chevrolet and Buick tire store, we, at Crotty Chevrolet Buick, have the resources to be your place for car or truck repairs and service in Corry, PA. Our service department and body shop is staffed with ASE-certified technicians, so please don’t hesitate to give them a call at (877) 326-9059 with any questions you have about your Chevrolet and Buick service needs today! Warren, Jamestown, NY and Erie drivers, Crotty Chevrolet Buick looks forward to serving all your Chevrolet and Buick needs. Corry, PA August 30, 2016– Building on its early success and the rapid growth of the segment, Chevrolet recently introduced the 2017 Trax – a more expressive take on one of America’s best-selling small SUVs. Contemporary design elements, including an all-new front-end appearance and a new premium interior compose the visual updates, while new available active safety features and a new infotainment system – with available Apple CarPlay and Android Auto compatibility – expand its range of customer-focused technologies. “Trax successfully established Chevrolet in the fastest-growing segment in the industry,” said Jon Andrus, Sales & Leasing Consultant of Crotty Chevrolet Buick. “We anticipate the refreshed 2017 Trax will attract both new and returning customers alike as it delivers a new design, more technology and more active safety.” The 2017 Trax goes on sale at Crotty Chevrolet Buick this fall, offered in LS, LT and new Premier trims. The Trax’s fresh, contemporary appearance reflects the modern face of Chevrolet. A new grille and headlamps echo the styling elements seen in new Chevrolet models such as the Malibu, Cruze and Volt, also available at Crotty Chevrolet Buick. The front fascia is all-new and incorporates Chevrolet’s new proportioned dual port grille. New, sleek headlamps flow around the corners and into the front fenders. Trax LS models feature new halogen reflector headlamps and uplevel LT and new Premier models have halogen projector headlamps with LED signature lighting. Chrome also accents the outboard fog lamp bezels. At the rear is a new fascia and dual taillamps, with the Premier model featuring LED signature lighting. The Premier is also offered with new 18-inch aluminum wheels. Premium interior A modified instrument panel is the foundation for the 2017 Trax’s premium interior enhancements. It interprets Chevrolet’s signature dual-cockpit design more expressively, with an upper dashboard hood that flows uninterrupted across the panel to enhance the perception of spaciousness. The redesigned center instrument panel features greater visibility of a new 7-inch-diagonal MyLink color touch screen and Galvano chrome trim on the instrument panel and console contribute to the Trax’s premium ambiance. Premier models are offered with contrasting-color instrument panel trim that matches their leatherette seating trim. Also new for 2017 is the instrument cluster, which features a new gauge display with prominent analog speedometer and tachometer readouts along with digital displays from the standard driver information center. Enhanced connectivity The 2017 Trax offers Crotty Chevrolet Buick customers a new 7-inch diagonal infotainment system designed to support the latest connectivity technologies, including available Apple CarPlay and Android Auto compatibility and available 4G LTE with Wi-Fi hotspot. With the 4G LTE connection, Trax allows Tri-County-area passengers to connect up to seven personal devices such as smartphones, laptops and tablets, to high-speed wireless Internet. Keyless Open and Start also add to the Trax’s roster of available new technologies. New active safety features New active safety features are designed to help alert drivers to potential crash situations. They are available depending on the model and include: • Side Blind Zone Alert • Rear Cross Traffic Alert • Forward Collision Alert • Lane Departure Warning Additional crash-avoidance technologies include a standard rearview camera. Trax also features 10 standard air bags. Turbocharged performance Returning for 2017 is the Trax’s Ecotec 1.4L turbocharged four-cylinder engine, which is backed by a six-speed automatic transmission. The engine is rated at an SAE-certified 138 horsepower (102 kW) and 148 lb-ft of torque (200 Nm) between 1,850 and 4,900 rpm. Easily accessible from Route 89 in Warren, PA, Crotty Chevrolet Buick, located at 45300 Route 6, Corry, PA is a family dealership with your family in mind. We have an excellent selection of new and used Chevrolet and Buick vehicles. Our professional staff and great prices make buying vehicles effortless, cementing us as your premier Chevrolet and Buick dealership serving customers in Corry, PA.
Visit our customer support page and see why our Corry Chevrolet and Buick customers want to buy their next new or used car from us. 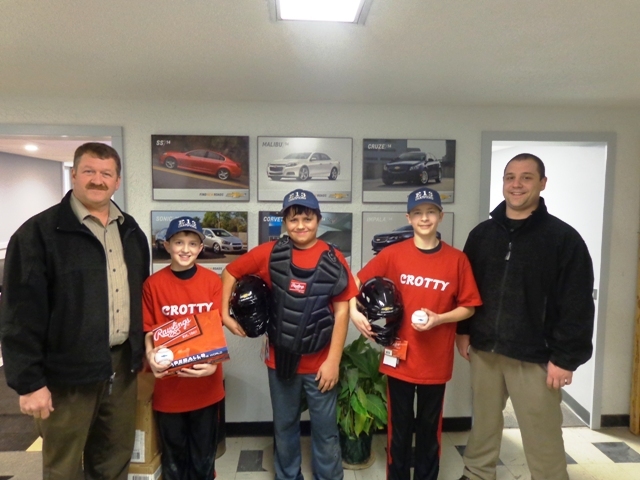 At Crotty Chevrolet Buick, we pride ourselves on our customer satisfaction! Founded in 1911 in Detroit, Chevrolet is now one of the world’s largest car brands, doing business in more than 115 countries and selling around 4.8 million cars and trucks a year. Chevrolet provides customers with fuel-efficient vehicles that feature engaging performance, design that makes the heart beat, passive and active safety features and easy-to-use technology, all at a value. More information on Chevrolet models can be found at http://www.chevrolet.com. The 2015 Chevrolet Colorado available at Crotty Chevrolet Buick, will offer segment-leading highway fuel efficiency for four-cylinder midsize pickup trucks, according to EPA fuel economy estimates. No competitor in the segment offers more payload capacity than the Colorado. The all-new midsize truck, powered by the 2.5L four-cylinder engine with 2WD and available 6-speed automatic transmission, will have an EPA-estimated 20 mpg city and 27 mpg highway, for a combined 22 mpg rating overall. The 2015 Chevrolet Colorado is outfitted with 4WD will have EPA-estimated 19 city mpg and 25 mpg highway for a combined 21 mpg, giving Colorado segment-leading highway fuel efficiency and segment-leading power for a four-cylinder models with automatic transmissions. With the 3.6L V-6 engine, payload rating for the Colorado is 1,590 pounds. The 2015 Chevrolet Colorado began shipping to dealers last week. For the 2016 model year, Colorado will add a 2.8-liter Duramax turbodiesel to the engine lineup. Technical details and EPA fuel economy estimates will be available closer to launch. With the introduction of Colorado, Chevrolet will offer customers more pickup choices than any other brand, including midsize, full-size light duty and heavy-duty pickups. About: Crotty Chevrolet Buick in Corry, PA since 1969 has been helping customers from Corry, Erie, Warren, Titusville, and Jamestown find the right new or used car at the price that works for them. We have provided our customers with a portfolio of fuel-efficient Chevrolet and Buick vehicles that feature spirited performance, expressive design, high quality, and value. All backed by our award winning service department. Learn more about our Chevrolet Cars, Trucks, and SUVs and the Luxury of a Buick Car or Crossover by visiting our website, blog or on our facebook page. 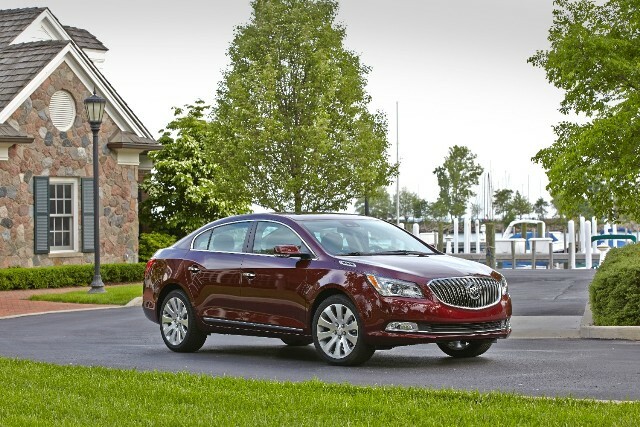 When select 2015 Buick LaCrosse models arrive at Crotty Chevrolet Buick later this year, they’ll be some of the first BUICK models to be offered with OnStar’s affordable in-car 4G LTE connectivity. The industry’s broadest deployment of 4G LTE connectivity technology will enable owners of these vehicles to explore new features like a built-in Wi-Fi hotspot capable of pairing up to seven devices, including properly equipped laptop computers, tablets, smartphones, or video game consoles. 2015 Buick models equipped with OnStar’s 4G LTE hardware will be bundled with three months or 3 gigabytes of complimentary data usage. After that, users will be able to choose from a wide array of affordable data plans to fit both their need and budget. Plans start at $5 for 200 megabytes of data monthly, enough to stream more than 6.5 hours of music or send more than 10,000 emails without attachments. Monthly plans span up to 50 gigabytes of data, which costs $50 a month. Additionally, OnStar allows customers to purchase one-time data packages in two different sizes, or even bundle their in-car 4G LTE subscription with an existing AT&T Mobile Share Plan. OnStar’s 4G LTE hardware will ultimately be available on four 2015 Buick models by the end of 2014, including the 2015 Regal, the 2015 Verano and the 2015 Buick Enclave. 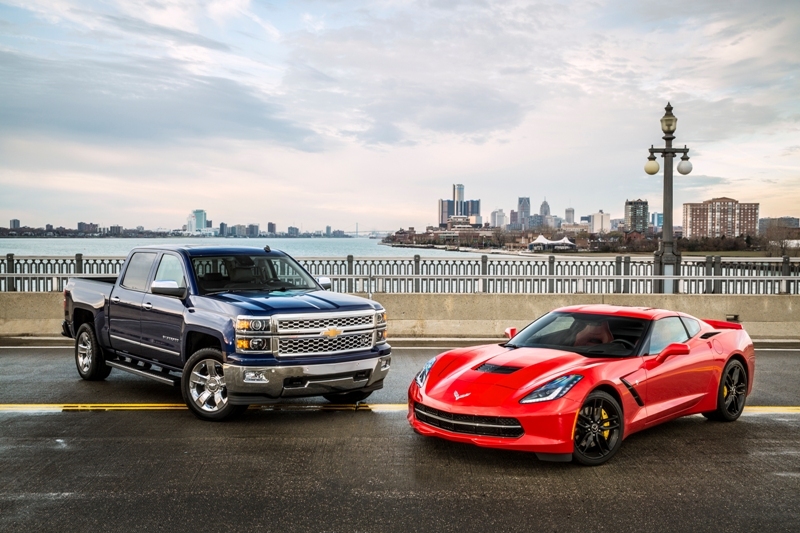 Chevrolet has been named the Best Value Truck Brand in America, according to data analysis firm Vincentric. The Chevrolet Silverado 2500HD also won the Vincentric Best Value in America award, and the Silverado family of full-size pickups boasts the lowest cost to own in this segment. The national recognition means something for local drivers, as well. Corry, Erie, Warren and Jamestown, NY-area residents may be happy to discover that they could save money over the long run by owning a Silverado. Vincentric analyzes a vehicle’s cost-of-ownership through eight different measures: depreciation, fees and taxes, financing, fuel, insurance, maintenance, opportunity cost and repairs. Vincentric awards the Best Value in America Award using an analysis comparing ownership costs to a vehicle’s market price. Silverado is the most dependable, longest lasting pickup on the road. It offers the best pickup coverage in America, including 2-year/24,000 mile recommended scheduled maintenance and a 5-year/100,000-mile powertrain limited warranty. COLUMBUS TOWNSHIP — Shane Crotty, a sales consultant at Crotty Chevrolet Buick in Columbus Township, said it was an obvious choice when asked if he would take a work trip to Nevada. Crotty, who has been helping out at the Route 6 family business since he was 14 years old, traveled in January to the Corvette Stingray Dealer Sales Academy at Spring Mountain Motorsports Ranch in Pahrump, Nev., about an hour west of Las Vegas. The ranch is dubbed the country club for car fanatics. Crotty said in order to sell the high-performance vehicle, a representative from the dealership had to take a two-day training session at the academy, which included classroom work and in-car driving. “Every dealership that wants to sell the Corvette Stingray had to send someone,” Crotty said, noting that the dealership also had to designate Stingray specialists from the sales and service departments. “They told me someone had to go out to Nevada, and I said ‘Count me in,’” Crotty said. According to Chevrolet, 900 dealerships across the country met qualifications to sell the Stingray when it became available over the summer. In order to qualify, the dealership had to sell a certain number of Corvettes. In addition to taking the $2,000 training class in Nevada, service personnel must undergo special training, and dealerships are required to purchase equipment specifically designed to service the cars. “I was the lucky one picked to go to Nevada to drive the Corvette and experience the handling, performance and technology features which go into every 2014 Corvette,” Crotty said. “We got to learn all about them, too, of course.” Going through the training does have its perks. “If a customer comes in, I will be the Corvette consultant” Crotty said. “I get to inform them just how capable this performance vehicle is, the safety features, and technology Chevrolet has built into the automobile.” Crotty said while in the desert, he had the chance to drive the new model vehicle in a variety of surfaces, including a 2 1/2 mile road course and a wet figure eight course. There appears to be a market for the high-performance car locally. 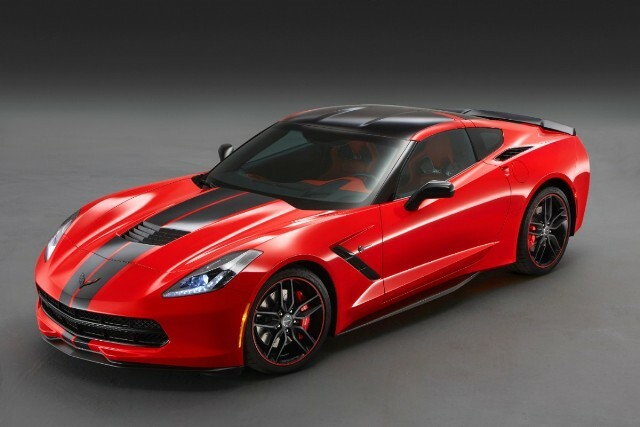 Aside from selling enough Corvettes to qualify for the training, Crotty Chevrolet already has an order for the Stingray model. In fact, before Crotty even went out in January, the dealership was aware of some interest in the Stingray. “We had one new one that sold already,” Crotty said. “We’re not sure when we’re going to get our next one, but we’re hoping over the summer.” “We probably sell three or four Corvettes a year,” he continued. Those hoping to get their hands on the 2014 Stingray will need to fork over $51,000 for a base model. The price is still far lower than other high-performance cars in its class. “Living in the Snowbelt, Corry, Erie, Warren and Jamestown, NY drivers, associate all-wheel-drive vehicles with wintery weather, the Regal’s on-demand automatic AWD system is designed to help provide better control in all weather and road conditions, including dry surfaces” said Robert Crotty of Crotty Chevrolet Buick. Using a system that can distribute power both front to rear and side to side, the Regal is able to shift torque to the wheels based on vehicle data and driver input. When trekking through snow and icy conditions better control is achieved through improved traction and stability with drive to all four wheels. The 2014 Chevrolet Malibu midsize sedan, available at Crotty Chevrolet Buick, has received the highest possible 5-star Overall Vehicle Score for safety as part of the National Highway Traffic Safety Administration’s New Car Assessment Program. Safety technologies featured on the Malibu include an ultra-high-strength steel safety cage, rollover protection and 10 standard airbags including knee airbags for both driver and front passenger. In addition to these passive safety features, several other available active safety technologies, such as Forward Collision Alert and Lane Departure Warning, can assist Corry, Erie, Warren, and Jamestown, NY-area drivers in avoiding a collision. Side Blind Zone Alert uses sensors to warn drivers of vehicles entering their blind spot on either side. The pairing of Rear Cross Traffic Alert, new to Malibu for 2014, and rear vision camera can make backing out onto busy streets a less-stressful affair. Every Malibu comes with OnStar service standard for the first six months. In the event of a collision, OnStar Advisors can contact the vehicle even if occupants cannot respond. Malibu had its best retail sales year since 1999 last year.